October 26th, 2015 Google confirmed the existence of an additional component to its already complex algorithm core. 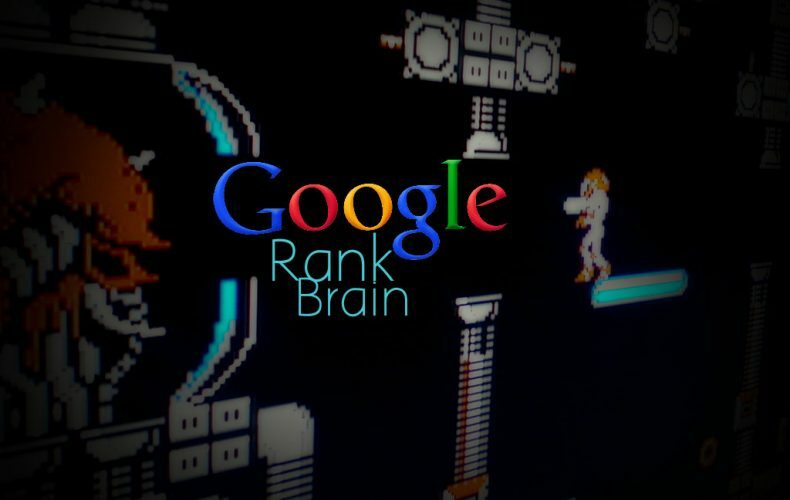 Google RankBrain now takes a much closer look at a person’s search query by running queries through an interpretation model that applies factors like location of the searcher, personalization, and the words of the query to determine more closely the searcher’s search intent. Not since Hummingbird have we paid this much attention to the content of our website’s design, Content Structure, Brand Messaging and how it relates to how we are representing ourselves via our online businesses. RankBrain is really just Google taking the next evolutionary step in better understanding what people are searching for and delivering the most pertinent and useful content. Pre-RankBrain, it might have been appropriate to assess website page optimization by evaluating all traditional signals (link diversity, content depth, keyword matching, etc.). Post-RankBrain, SEOs need to determine the type of content that best serves users’ needs. For something like a sudden hurricane, you’re going to count on freshness much more than the links a piece might have accrued. For something like the history of Indigenous American music, you’ll be relying on content depth, and possibly related topics your domain covers, signaling authority. Know that the machine learning algorithms that drive RankBrain are matching signals to query intent and that SEOs must do this, too. So taking all this into consideration the question still remains, what does this mean for your company’s content strategy? But what we are learning is that Google is paying even closer attention to the semantics of what we are saying in our brand messaging and how we go about marketing ourselves. Waiting for a website to load is fun for no one. Most website visitors will not wait long if your page takes forever to load. Slow loading pages not only have an adverse effect on user experience but also on search engine ranking. If a page takes too long to load your visitors will most likely end up leaving your page for another. Google has picked up on this and will punish your page with a lower search position than a page that loads quickly. Your best bet is to shoot for a 3 second or less load time and your visitors and Google will be happy. So how do you fix this on your WordPress website? We spent some time speeding up our site and this article will explain how we did it. Alpine Design’s homepage had a major loading issue. Due to an HTML5 embedded video, our page was over 70 MB in size when an average web page is just 1-3 MB. This left us with a 15 second load time. We had to get the load time down significantly but first we had to get the page size down. Our first step was uploading our video into video editing software. The length of the video was 30 seconds long to start. We know that most visitors don’t spend more than 10-12 seconds above the fold so we clipped the video to 12 seconds. Next we edited the resolution slightly and ended up with a video that was 1/8th its original size. We tested the page speed with GT Metrix and improved our load time to about 10 seconds. Our next step was to optimize the images. Many images were much bigger than they needed to be so we installed the WordPress image compression plugin EWWW Image Optimizer. This reduced the size of all of the images on the website. Between reducing the video size and compressing the images, this left our homepage with a total size of 8 MB. That is 90% of it’s original size! Our load time dropped to 7 seconds. We have successfully cut the load time in half by reducing our page size but we are not yet to the magic number of 3 seconds. Our next step was to install a caching program. A good caching program like W3 Total Cache will come with quite a few great features that improve your website performance. On PHP website software like WordPress, web pages are created dynamically on the fly. There is typically some lag time while the code queries the MySQL database and “builds” the pages. A caching program will essentially pre-build these pages and take snapshots of the code to server to web visitors. This greatly reduces the database lookups and decreases page load time. 3 Seconds! We have successfully taken our page load time from 15 seconds down to 3 and you can too. If you follow the steps. 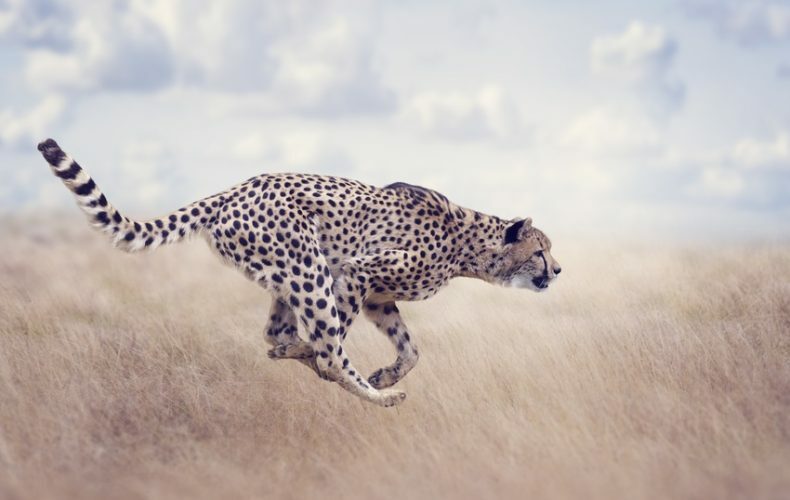 Page speed is one of the most important factors of any website since it will directly affect your visitors’ experience and your search engine position. Follow these steps and you too can have a dramatic reduction in your WordPress page load time. We will continue to optimize to get that load time even lower but always shoot for the 3 seconds benchmark. 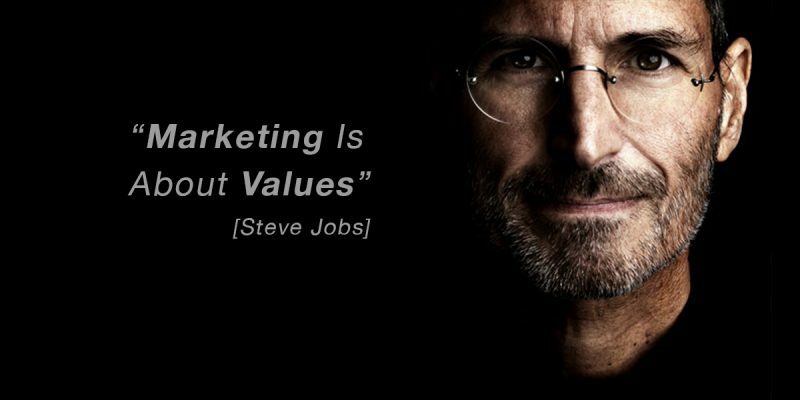 “Marketing Is About Values” is probably one of the most prolific things Steve Jobs ever said and not only carved the path for Apple over the following 20 years but also is the perfect starting point for every entrepreneur to develop their Brand Management Strategy. Steve realized that customers responded best when they were presented with benefits of a product as opposed to its features. The Apple buyer was far more interested in how the Mac made work easier, learning more fun and provided entertainment for the entire family than boring specifications like processor clock speed or how much memory it has. Focusing on benefits vs. features is the key component of creating emotion in the consumer that leads to greater sales. By taking this principle and applying it to some of your most basic web elements, you can enrich your online Brand Management Strategy in a very Jobs-esque way. What are my company’s values? Once these questions are answered, it is possible to create a value driven message. The message must be present from the first time a potential customer sees your ad and is with them through every stage including purchase and use of your product. If your ad is clear about your company’s values and the benefits of your product, the potential customer may visit your website to learn more. If benefits and values are clearly defined on your website, this should lead to an eventual purchase of your product or service. Once the customer receives the same benefits and values as advertised, they might just pass along their positive experience by word of mouth or social media creating an increase in brand recognition and inevitable sales and growth. Getting your customer to see the benefits of your product and relate to your values is done on a much more personal level. Triggering an emotion can create a memorable experience thus associating your brand with that emotion. Let’s say you are selling a convertible sports car. Your ad and website could boast about how powerful the engine is or how many speakers the stereo has but most people won’t remember boring specifications. What they will remember is how the feel when the top is down, the wind is blowing through their hair and the sense of freedom and youth this beautiful machine will give them. Showing benefits of a product will evoke a memorable response while features are just forgotten. Using images and graphics in your ads and on your website showing the benefits of ownership create an emotional response that will make people desire your product. Adding well thought out headlines, taglines and copy can help in painting this picture of an emotion that leads to ownership. When selecting images and copy for your website and ads, use a consistent message of benefit backed by emotion and it will more often lead to a purchase. Giving your business personality brings to life the values and benefits you offer and allows customers to identify with you. This is done through the careful selection of fonts, colors and a well developed logo. Fonts and colors should directly reflect the personality of the company. Is your product or service fun and exciting? If so, the colors should be bold and dramatic to create excitement. Is your product or service professional or formal? If so, fonts might be classic and traditional to represent professionalism. The logo is your biggest chance to make a memorable impression on a customer. It needs to be identifiable and speak on many different levels. Look at Amazon’s logo. They are known to have everything from A to Z so there is an arrow that points from the A to the Z. It also doubles as a smile, indicating a pleasant shopping experience. Perhaps the hidden meaning of what Steve was trying to say was that make sure the stuff people remember is the stuff worth remembering. With the ever increasing use of mobile devices for internet browsing, local search results are becoming more important than ever. Google in recent years has changed it’s algorithm to rank results based on the searcher’s geographic location. They have even went as far as adding a map and an independent ranking of local results in the most prominent area of the page, just below the ads. With mobile devices, the business phone number is clickable making click through rates and conversions extraordinarily high for those websites that rank in these positions. The 3 or so results shown at the top are not by chance or proximity to the user but a calculated ranking of businesses that Google “refers” based off a number of factors. These factors can be fine tuned to give your website an advantage over other businesses that are unaware of this. Google tends to give these positions to websites and businesses they feel are trustworthy and consistent. Here are a few ways you can increase your position in these results. Make sure your NAP is consistent across all of the directories and you choose the correct category for your listing. It is best to use your real phone number and not a tracking number. 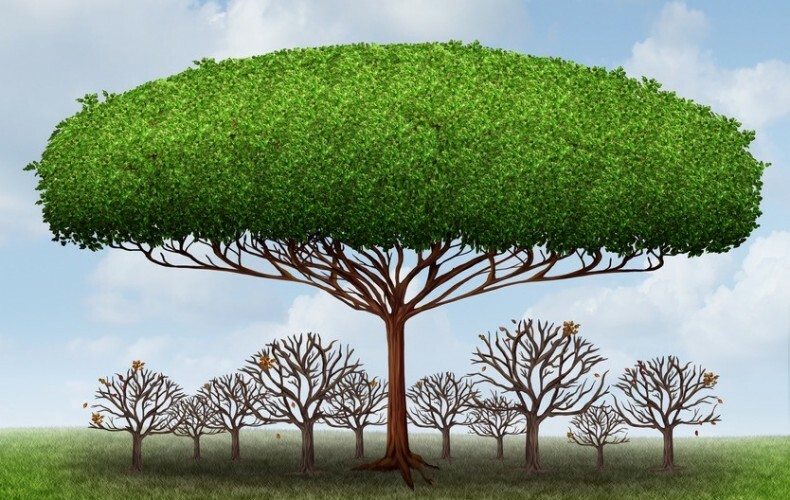 If you are listed in other directories as well, you will need to make sure they remain consistent too. As a general rule of thumb, the more directories the better as long as the information matches. After you have completed your directory listings, now you need to shift your attention to your website. In the old days (like 2009), you could just put a bunch of local cities and towns in the footer and the search engines would rank you well in those areas. If you are still doing that, you need to remove them. They can actually do more harm than good since Google penalizes websites that stuff added keywords like that. Keep all of your copy readable and write naturally. It is ok to add location names in the text as long as it flows naturally. You should make sure there are relevant keywords within the body copy that relate to your location as well as your industry. Just make sure you are not stuffing keywords, Google can tell and will penalize you for that. The last thing to do on your website is to make sure your NAP is as consistent as your directory listings. A Google embedded map is a great idea and never hurt anyone. Also, we recommend to our clients that maps and phone numbers are clickable to make it easier for web visitors to get in touch. Variety of Reviews – Are reviews posted on just one site or many different review sites? It is also important to note that once you reach 5 Google reviews, you get the orange stars to appear next to your business name. This is great if you have good reviews since it draws the searcher’s eye to your listing. It is also believed that once you receive 5 Google reviews, you automatically will increase 1 position in the rankings. So what can you do? Contact your customers and encourage them to review you all over the internet. Any website that offers reviews is good. You can even offer promotions to get people to leave you a review. One word of caution though, ask customers that you believe will leave a good review. It is very difficult and time consuming to get rid of too many bad reviews. In conclusion, a well ranked business in the local search results can have a lasting effect on your business. If you follow these steps you can start seeing some improvement. If you are in a very competitive market or have a tarnished reputation, you may want to enlist the help of a marketing professional that will have additional strategies to bring you more business from the web. What is your website all about? Not only do your web visitors ask but Google is asking the same question. To answer it, the first place the search engine looks is your Title Tag. 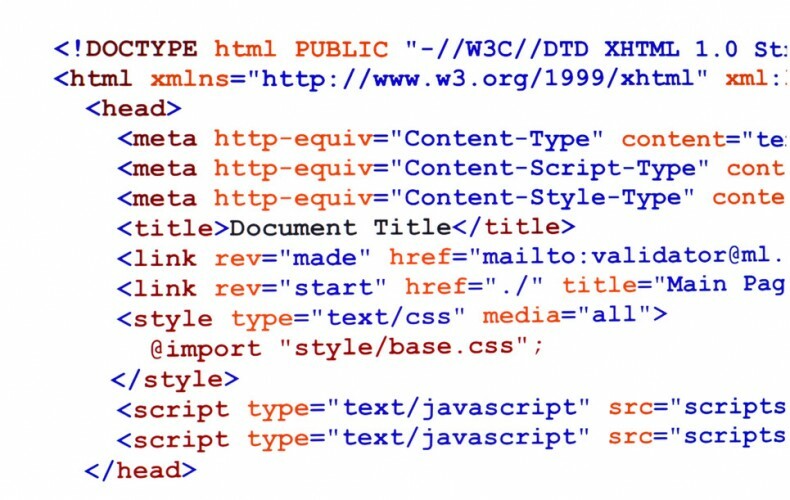 A title tag is part of the meta data and one of the very first lines of code used to create your website. In most cases, it is also the first line of code a developer writes yet it is also often the most changed. The title declares what the document is about to the search engines. We see a few keywords such as Buffalo NY, web design, social media, marketing and Alpine Design. The search engine will scan the rest of the web page and expect to find matching words, headlines and phrases for those terms. If it finds them, it will make the terms all the more relevant. 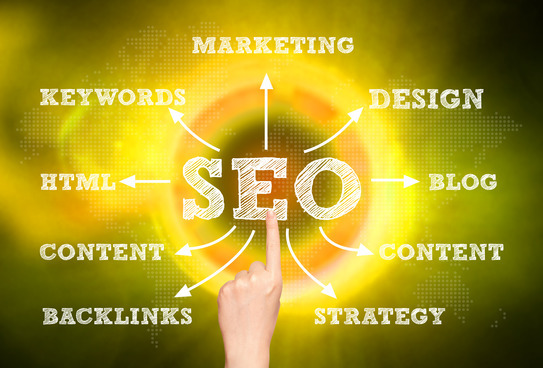 This should improve your overall search engine position for the targeted terms. The title tag isn’t just used by the search engines to determine the relevant keywords for a page, it is also used with the meta description to display your website in the search results. You will see it in blue in every Google search. It serves as the main call to action to search engine users and is usually the first thing they see. Google strives to deliver its users the best possible search results. That is why pages that reflect their title (or title that reflects their page) will typically rank higher. When a user clicks on a title that contains the keyword they searched for, Google wants to make sure the page it takes them to is highly relevant to that keyword. A poorly written title will not only cost you search engine position but it will also cost you clicks which in turn cost you further search engine placement. Yes, you heard that right, if people don’t click your link you may lose search engine placement. When a search is performed, the links shown are called impressions. Google tracks all of the impressions a website has and the number of times the link is actually clicked. They take that data and devise a ratio called a click trough rate (CTR). The CTR is compared with other websites and those that perform better are generally rewarded with better search engine placement. Think that is complicated? Google goes a step further with another metric called bounce rate. Bounce rate is another topic all together but it is relevant in this discussion. 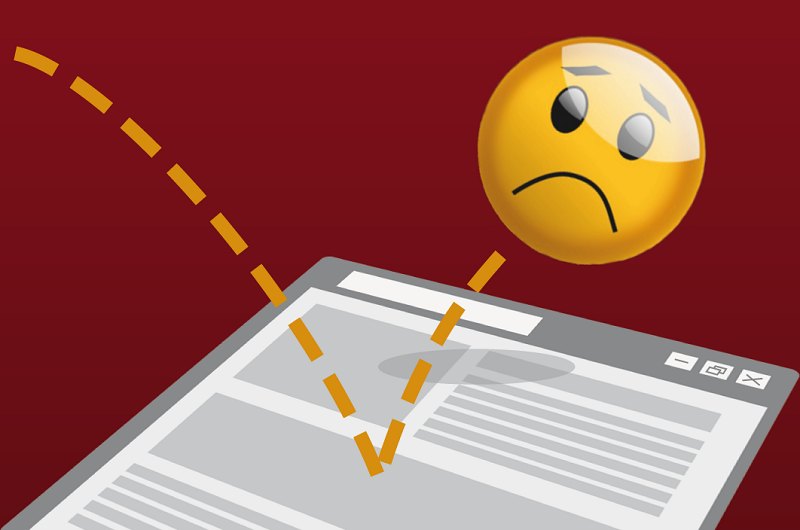 The bounce rate is calculation of the number of visitors that arrive on your web page, and abruptly leave. This can be for many reasons such as broken site, obnoxious music playing and many others but the reason we are concerned with is irrelevance to a the title. Say you were searching for kitty cat pictures and a site came up with a title that said “cat pictures”. You click on the site and the first thing you see is pictures of Caterpillar “Cat” construction equipment. You would immediately leave this page, in other words: bounce. A good title must display enough information to give a good concept of the web page. Writing a good title tag isn’t too difficult if you follow the right steps. It is very important you are using Google Analytics and tracking your rankings. A good title tag is continually improved until it gets the desired results so keep working at it to make it better. Please Note: Changing a title tag on a live site can have undesired consequences so proceed with caution. Take some time to brainstorm what keywords you want to rank for. Make a list of 10-20 and analyze them further to see which ones are actually searched for, easy to rank for and what your competitors are successfully using. Choose a few of the best ones to include in your title. 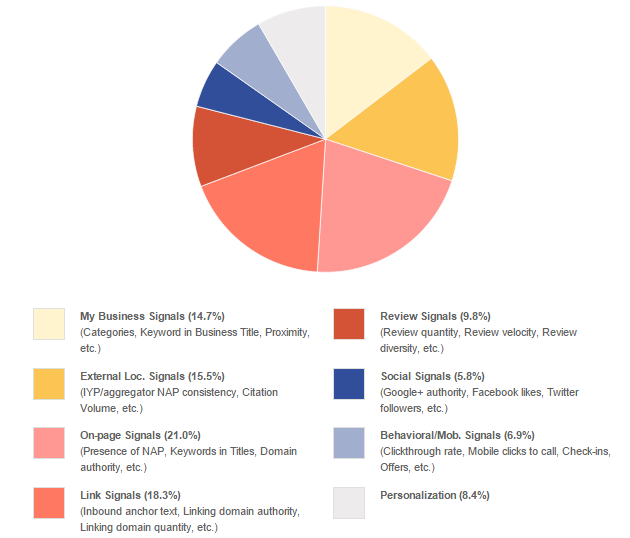 Analyze your page to ensure the keywords used are relevant to the page body text, headlines and other content. There are a lot of great tools online that can help you with this like the Keyword Density tool from SEO Centro. If your content is not relevant, adjust it to your title or your title to it. New and Used Auto Parts in Los Angeles CA | The Part Co.
New Auto Parts Used Auto Parts Los Angeles Part Co.
Los Angeles CA New and Used Auto Parts | The Part Co.
Perhaps the most important step is to track the results. It is the only way to really see what is working. There are many free and paid tools to help you with this. It is important you give your changes a few weeks to take effect to see position movement and you can make adjustments to see how they perform. If you have any questions about creating a title, please feel free to email us and we would be happy to help. Creating great content is the key to any great website and without content marketing, it will never bee seen. Great content must be written in a way to engage your audience, entertain them and give them a sense of value after reading it. It is recommended that each client write their own website copy because lets face it, you know your business best. Sometimes, our clients cannot write their own copy due to time constraints or other factors so our staff of professional copywriters can craft a unique copy on any topic. This is the 21st century and the days of text based websites are over. Welcome to Web 2.0 where anything goes. Our definition of content has evolved from just text to an entire array of media. Videos, images, infographics and feeds have all become part of our lexicon of great content. When Alpine creates quality content, it’s not just a well worded copy, we provide the stock images, embedded video or any other media that will enhance your visitors experience. All of this interactive media is not meant to detract from a great copy, but enhance it. Your copy must still have all the characteristics of a great story but still needs an additional layer that is unseen by the average user. This is the SEO factor. Not only must your copy read well, it needs a little tuning for that little extra edge of being indexed high in the search results. Every copy is written with a keyword in mind and the densities of it and related keywords are carefully tuned to give you the best SERP as possible. Like a great work of art, great content needs to draw an audience and an audience is drawn to great content. Having a dynamic blog with a steady stream of content is a great way to bring visitors to your website using a wide variety of keywords. One of our specialties is blog management and content generation to index your website and provide your visitors with lots of great reading material. A dynamic blog is one of the most effective content marketing strategies and we can develop it to enhance your website and grow your visitor base. The SEO value of a great blog is massive since it provides the search engines with index-able content and readers will often link to it helping to build your link profile. 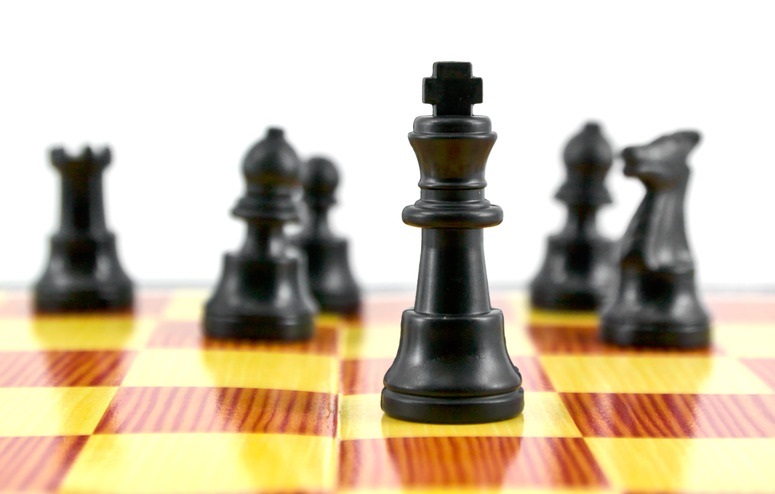 Contact us to learn more about our content generation and content marketing strategies.